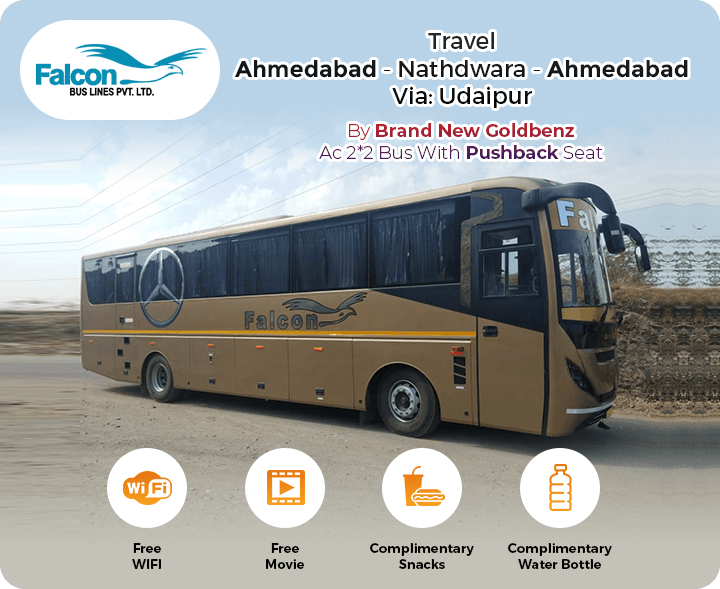 Travel Ahmedabad - Nathdwara - Ahmedabad Via Udaipur By Brand New Gold Benz 2*2 Ac Bus With Pushback Seat With Complimentary Snacks / Water Bottle & Free Wifi Facility. 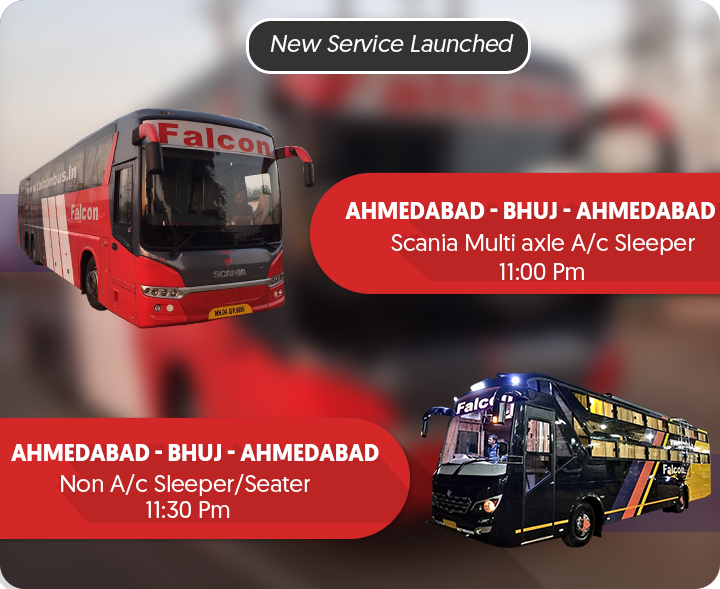 Welcome to Falcon Bus Lines Pvt. Ltd.
Falcon Bus Lines Pvt. Ltd. made a humble start in the year 1978 in Rajkot, Gujarat under the banner of Eagle Transport. Founded by the Chairman Mr Indubhai Kantilal Kotak with the blessing of Lt Shri Rasikbhai Golwala, the company started its operation with only 2 buses and now has over 50+ buses in its fleet along with over 100 groomed drivers and 38 travel experts. We believe in quality hence the buses owned by us meet our high standards of safety and quality. We operate through buses like Volvo, Tata, Ashok Leyland, Cerita and Isuzu. We primarily deal with intercity operation via fully equipped Volvo Seater Sleeper and Non AC Sleeper Coaches. We also provide all kinds of buses for hire starting from a 13 seater executive to a 53 seater. Buses are provided for commercial as well as personal use. Good Discount System, I have get every time discount. Good Bus service, also staff behavior very good.